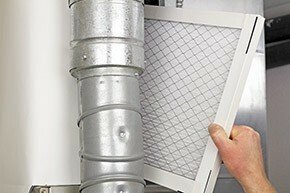 Are you looking to improve the quality of the air that you breathe inside your home? Let us know. At Advantage Air Conditioning of the Treasure Coast, Inc, we offer a diverse range of indoor air quality products and services throughout the Fort Pierce area, and we can make sure that you have a solution which targets your particular issue, be it mold and mildew floating through the air or high humidity. From dehumidifiers and humidistats to UV air purifiers and air filters, we have got you covered. Call today to schedule an appointment. Advantage Air Conditioning of the Treasure Coast, Inc provides indoor air quality services in Fort Pierce, FL and the surrounding areas. Do You Need an Indoor Air Quality System? If you’re ready to get serious about your indoor air quality, then you need to consider whole house indoor air quality systems. Portable units, while intermittently effective and mobile, simply cannot compare to the comprehensive coverage that whole house air filters, purifiers and dehumidifiers offer. Such systems integrate directly into your ductwork. If you notice that your poor indoor air quality has returned, then it might be time to take action. We offer a number of different products for installation and replacement, but we also provide air quality system repair and maintenance. When professionally installed and serviced, such equipment should work well for years and years, but everything breaks down eventually. Thinking about an easy way to improve the indoor air quality of your home? You might wish to consider an air filtration system first. Whole house air filtration is one of the best ways to make sure that your entire home is thoroughly purified. We have a number of different options for you to consider. We also offer a number of air purifiers that use an electrostatic charge to filter particles out of your air supply. This is by far one of the best ways to considering cleaning up your indoor air, and we’ll make sure that you have everything you need in place. We also repair and maintain such systems. Your AC may be blasting at full tilt, but is your humidity under control? If not, you may be overworking your air conditioner with sub–standard results. We install and service a wide range of whole house dehumidifiers. Without a professionally installed and serviced humidistat, you won’t be able to keep track of your humidity and make any adjustments with your humidifier or dehumidifier. We offer a number of different humidistats for installation and replacement. Because of our high humidity and hot temperatures, our homes are subject to the accumulation of biological contaminants, such as mold and mildew. A UV air purifier can go a long way towards making sure that you don’t breathe in such noxious substances. Call us today to learn more about our excellent indoor air quality products and services.